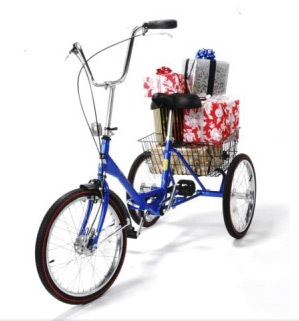 Dimensions: 62" x 29,5" x 38"
Folded dimensions: 30" x 31" x 29"
Port-o-Trike features a solid, sturdy and durable frame – along with wide seat and 20 inch wheels enables a nice comfortable ride. The trike has lower center of gravity so it`s stable and not prone to tipping, it`s also easy to get on or off thanks to the step through frame. 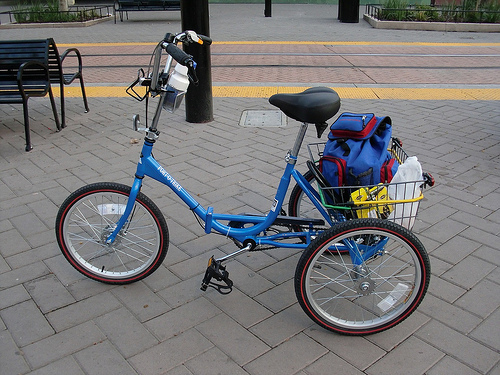 The height of seat and handlebars can be adjusted easily. 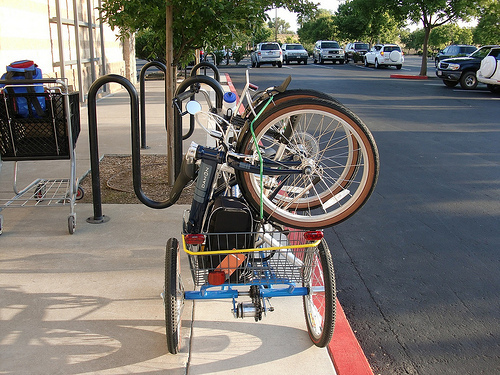 One of the advantages of this vehicle is also the rear basket – big enough to store groceries, water bottles, backpack or other stuff. But the main advantage of this Worksman tricycle is the three speed gearing system. Classic tricycles experience problems in hills as they have no possibility to make the pedaling easier – the situation gets much better here. Of course don`t expect to climb steep hills with ease – it`s just a 3 speed – but it helps a lot. There are two brakes for effective stopping – front drum and rear coaster. 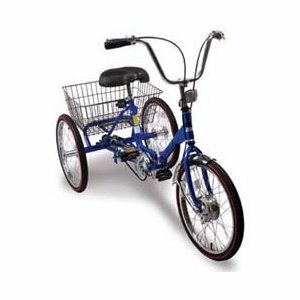 Port-o-Trike Tricycle can be used by used by adults, seniors or even children (8+ years) thanks to the low frame and smaller 20" wheels. This entry was posted on Thursday, June 2nd, 2011 at 11:59 am	and is filed under Adults, Folding.